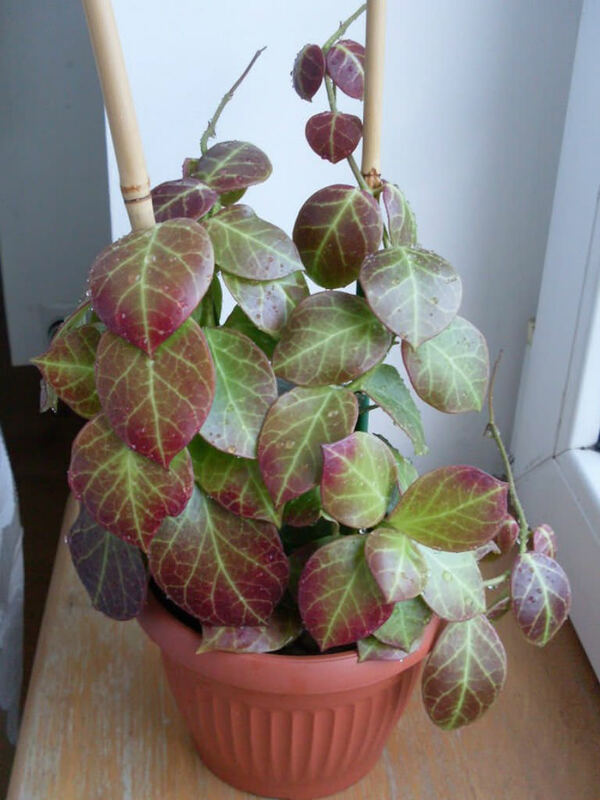 Hoya obscura is a fast-growing succulent vine with medium-sized veined leaves that range from deep green when grown in shade, to a deep reddish color when grown in sunlight. They are up to 4 inches (10 cm) long. 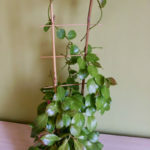 The stems are up to 0.3 inch (8 mm) thick, dull yellow as they ages, branched from near the root cluster, woody at or near the base and winged at tips. 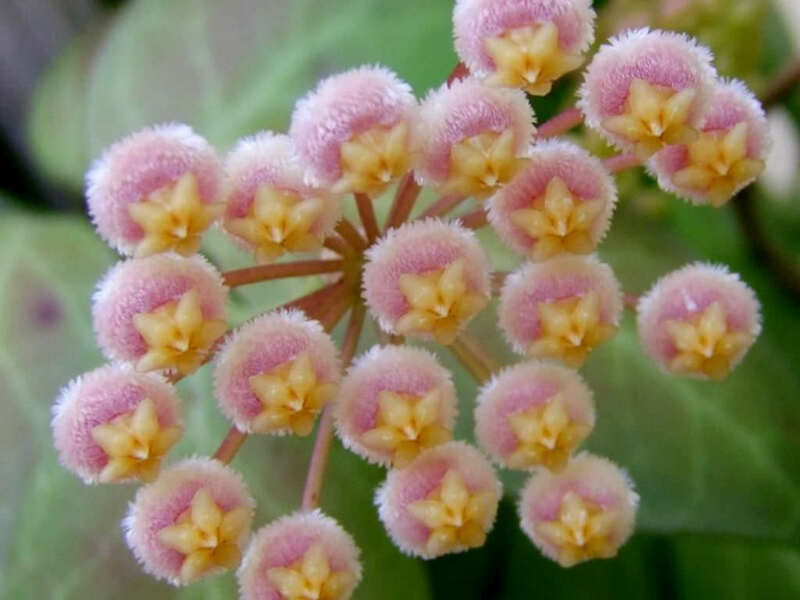 It has fragrant salmon pink flower clusters form on persistent clusters. 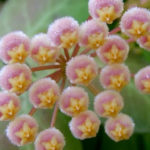 Hoyas don’t ask for much, beyond the well-draining soil and the warm humid conditions that many tropical flowers crave. They don’t like wet feet or heavy soil and as many grow as epiphytes in nature. 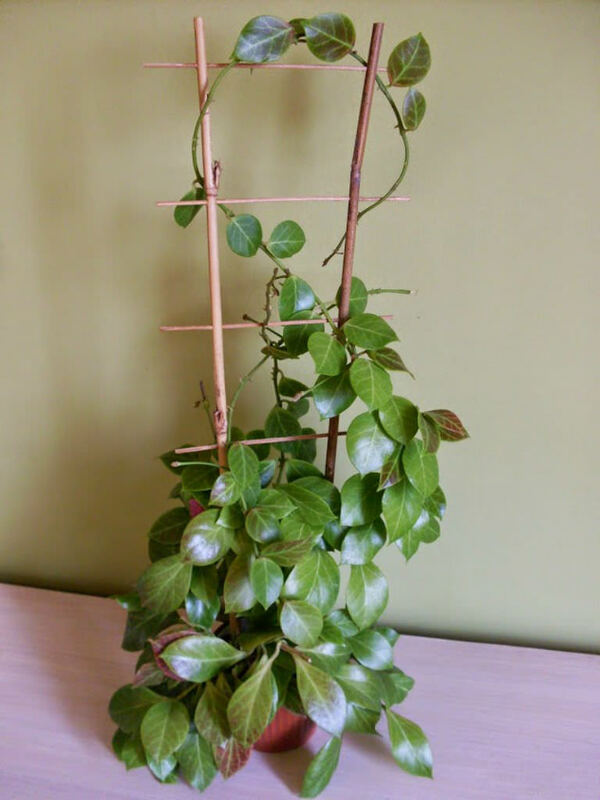 Give them at least a half day of sunshine, and bring them indoors when temperatures drop below 50 °F (10 °C). 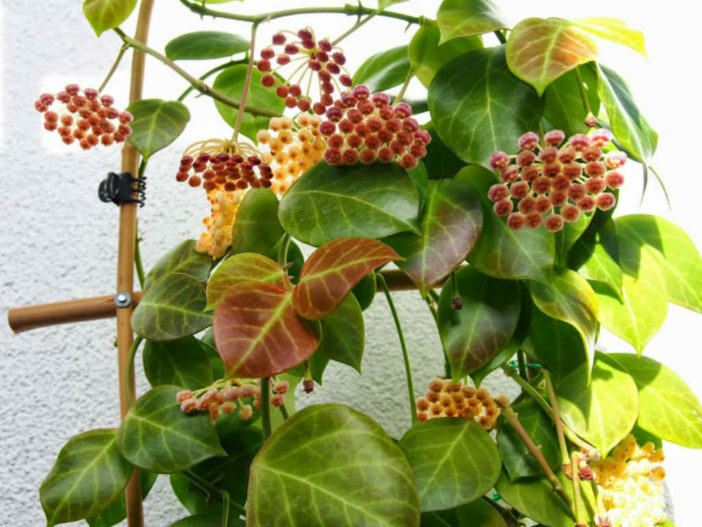 Hoya finishes blooming, leave the flower stalk, as it may produce new flowers. Removing the stalk forces the plant to produce a new stalk, which delays blooming and wastes the plant’s energy. They are light feeders and a monthly drink of compost tea or dilute fish emulsion provides all the nutrition these tropicals need. 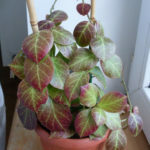 Hoyas like the security of a snug pot and plants that are a bit root bound will flower more prolifically than those that are swimming around in a giant pot. It is endemic to the southern part of the island of Luzon (Philippines).